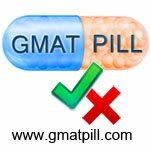 I got 460 on GMAT Prep after 2 month preparation . Is it possible to get 700+ in another month preparation . Unfortunately, a 240+ point gain in just 1 one month is not realistic. Thus, if 700+ is truly your score goal, then you'll have to commit a longer period of time to study. Since the GMAT is a consistent, predictable Exam, raising a 460 to a 700+ IS doable though - but you'll have to make significant changes to how you handle BOTH the Quant and Verbal sections (and all of that work will take time). 1) What study materials have you used so far? 2) How have you scored on each of your CATs (including the Quant and Verbal Scaled Scores)? Thanks for your message with detailed info. As of now i understand the concepts but didn't start full fledged practice . Is it able to crack my target score with 200+ hours of prep in this month. - By this year end or Mid 2018. - I am planning for Copenhagen Business School , Denmark. Unfortunately, the type of "cramming" that you're describing rarely leads to huge improvements - and you would actually be far more likely to "burn out" before Test Day (and THAT is something that you want to avoid). While I can certainly understand the desire to want to get through your studies quickly, there are simply too many aspects of the GMAT that you have to train for - and that training takes time (especially when you want to score at a high level). If you're not planning to apply to Business School until the end of this year or next year, then why are you trying to limit your study time down to just 1 month? I know, it is very difficult to achieve 700+ for test takers like me . i almost wasted some 3 months time simply. I recently quit my job for my further studies . But unfortunately due to certain circumstances , i need to go to the Job by next month . This is the most valuable time for me and need to achieve this by this month. 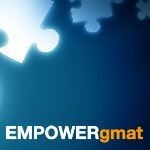 Hypothetically, if you studied a lot over the next month and scored in the 500s on the Official GMAT, then what would you do next? Would you continue to study and keep working towards your goal or would you give up? I ask because we have to define what is MORE important to you: hitting your goal score OR taking the GMAT in one month and living with whatever result you get. You could think about focusing on your 'core' this month - by 'core' I mean your foundation, your basics - of both Quant and Verbal. Since you have some time this month, build as much of your core as possible. Once you are into the job, you could still cover the remaining basics, and then focus on GMAT specifically. This seems feasible since you have time with you (end of year or mid next year). Now, how to build your basics - you can start with MGMAT foundation for Quant. I strongly recommend you purchase 'RS Aggarwal Quantitative Aptitude' book (which is generally purchased for Bank/SSC exams here in India, and does an excellent job of explaining basics plus plethora of questions to practice) and start going through it topic by topic. Its very important for you to build reading habit, but only read good, grammatically correct stuff. 2) Grammar - Wren and Martin is one classic book that we in India have been swearing by for ages. Go topic by topic, solve all exercises. My suggestion is that you do these few 'core' specific things for next 2 months - and then re-evaluate and re-look at yourself as a GMAT aspirant. If you have been studying for 2 months and are at 460 - there must be something fundamentally off about your study approach or understanding. If you did not study and started at 460 - I would say it's realistic to get into 650+ territory. But 460 after 2 months of (assuming) quality study - I would say very difficult to get over 700. Of course - we can think of your situation as a critical reasoning question in and of itself! The above ASSUMES that you had some quality study effort/material/time, etc. But what if that ASSUMPTION is wrong? We can attack the above conclusion (that improving is nearly impossible) - by addressing the faulty assumption -- by addressing your study effort/material/time.